The noted economist E.F. Schumacher was the first to develop the concept of Buddhist Economics, based on his experiences as an economic consultant to the Burmese government in 1955. 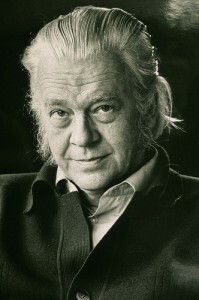 In contrast to most economists of his time, Schumacher was concerned with both the internal and external consequences of the economic system, and its affect on the individual as well as on society and the environment. He talked about the philosophical, psychological and spiritual dimensions of work, rather than focusing solely on quantities of production and percentages of profit.